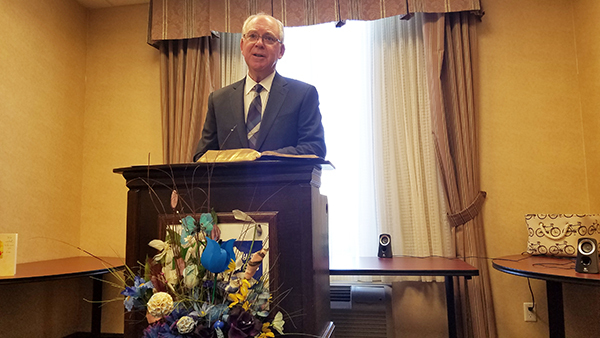 From Doug Johnson: Canada’s eastern regions face some of the same challenges shared by all remote congregations of the Church of God, a Worldwide Association. In so many areas of the world, “the laborers are few”—and this is also true for Canada. 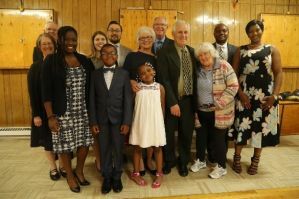 While five of the six COGWA congregations in Canada have U.S.-based pastors who travel regularly to be with them (including the French-speaking congregation in Montreal), St. John’s, Newfoundland, does not. David Smith, our elder in the area, cares for this small flock. My wife Janel and I are always encouraged by our annual trip to this easternmost congregation in North America. The group is small, but warm, dedicated and appreciative of visitors. Later that evening, we were able to visit with Deanna Houston, caregiving daughter of deceased member Norma Benson. Mrs. Benson, one of the pioneer Church members in Newfoundland (baptized in the early 1970s), died Feb. 12 after battling Alzheimer’s disease for some years. Her legacy of faithfulness to God’s way is not forgotten. With contacts to be made in both Nova Scotia and New Brunswick, we flew to Halifax, Nova Scotia, on Sunday, July 15. We visited and shared dinner there with a couple who were old friends from our days at Ambassador College (Pasadena, in the late 1960s and early 1970s)—a pleasant and rare opportunity. We then drove about an hour north of Halifax to get a jump on the next day’s full itinerary of driving and meetings. Monday morning, we left our hotel near Truro, Nova Scotia, and headed northeast toward Cape Breton Island. Just shy of the easternmost “chunk” of Nova Scotia, we had the chance to visit with a lady who had contacted Mr. Smith about two months ago after finding his phone number on the Church’s website. She has been studying material from the Life, Hope & Truth website and was desirous of meeting with a minister from the Church. My wife and I spent two hours answering questions and discussing challenges she faces in pursuing the truth she’s been finding on the website. 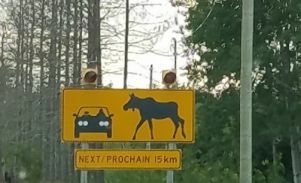 Following that appointment, we reversed direction and headed west for the four-hour drive to Moncton, where we were able to meet with our only member in New Brunswick. She was joined by a longtime friend, a lady who was formerly a member of the Worldwide Church of God. She still strives to carry on with her convictions, and we found we had much in common. The visit with both of these ladies was pleasant and an opportunity to get acquainted with new friends. Having an extra day in our itinerary at this point, we took a page from French regional director Joel Meeker’s book and visited a nearby area of interest on Tuesday, July 17. 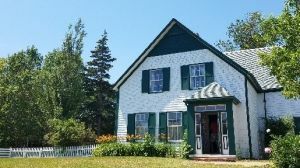 Prince Edward Island is home to a national park that includes the “Green Gables” homestead that inspired author Lucy Maud Montgomery’s creation of one of the most beloved characters of classic fiction—Anne of Green Gables. We followed that delightful experience with a brief visit to Charlottetown, the provincial capital. 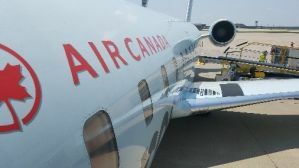 Wednesday, July 18, we returned to our home in Cleveland, Ohio, flying from Moncton, New Brunswick, to Toronto, Ontario, to Cleveland. We covered a lot of ground and met some individuals for the first time on this trip. We trust the time we were able to spend was profitable to those God has called and those whom He may be calling—the ones we came to fellowship with, teach and serve! Next up on the Canadian docket—visiting the Toronto and North Bay, Ontario, congregations on the Sabbath of Aug. 25. We find it both a great blessing and opportunity, after so many years, to once more be in contact with and of service to our stalwart Canadian brethren, fondly hearkening back to the earliest (and foundational) 16 years of our marriage, family and ministry. 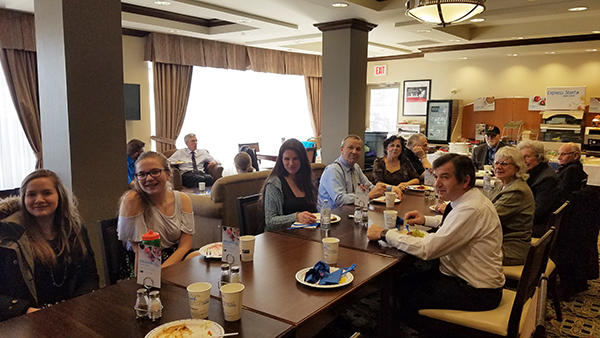 The Johnsons were able to do just that for the Sabbath of March 17, spending some time with this small but enthusiastic group. Services were followed by a hearty potluck meal, where the “headline entrée” was roast moose! Not your typical menu, but very tasty! Fellowship continued for some time afterward, and the North Bay members were already looking forward to meeting two weeks in a row (!) since Mr. Lord’s regular monthly trip was set for March 24. Already looking forward to next time—when the Johnsons plan to visit both Toronto and North Bay, tentatively set for August 25. 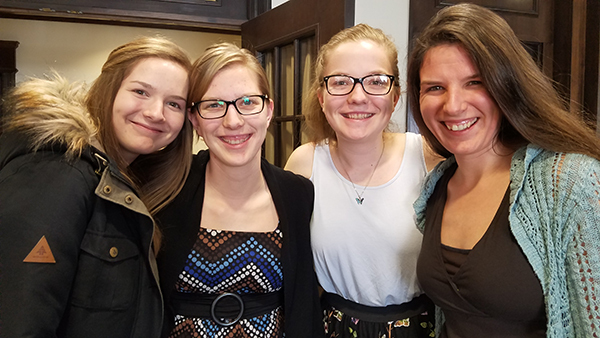 4 of the 5 Bowman sisters (Virginia lives in Ohio with her husband Erik and their two children). Canada Senior Pastor delivers the sermon March 17 in North Bay. Marlin Bowman leads songs March 17 in North Bay. Chow time in North Bay! 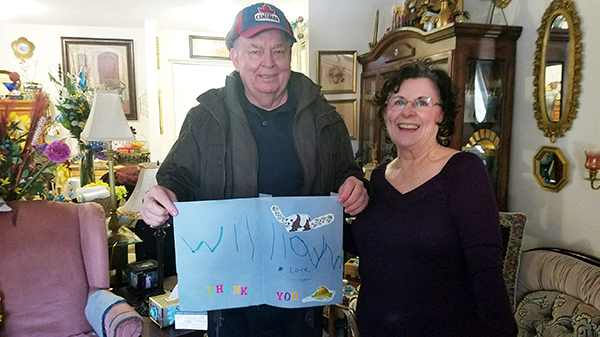 Members Ernie and Dawn Bellaire (in their home) hold up some artwork from a young attendee at the Feast in Quebec in 2017. 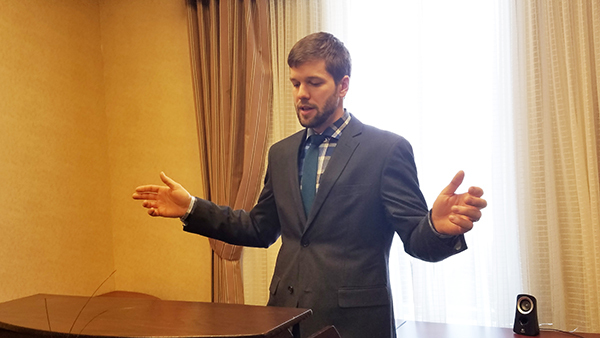 As one of only a few young adult couples who are part of Church of God, a Worldwide Association in Canada, our trip down to Ohio on the February long weekend proved to be exciting and inspiring. This was the first time my husband Cody and I were able to attend an activity such as this. 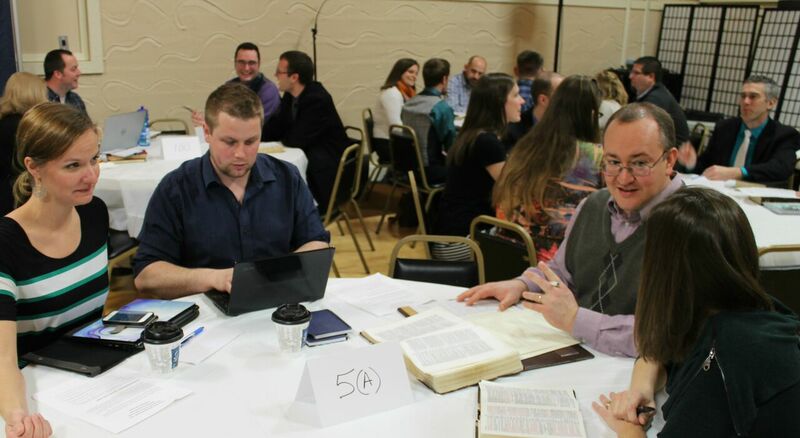 The Young Adults Leadership Weekend (YALW) in Ohio was located in Berlin, in the heart of Amish country. A trip down the highways near Berlin was definitely interesting, as there was always at least one horse and buggy to pass on the roads. I counted over 17 on just one short leg of the trip! The weather was outstanding. Every day was sunny and in the high 50s Fahrenheit (about 15 degrees Celsius for us Canadians)! The grass was turning green—it would have been hard to ask for a better, more peaceful setting. At first, we were a little taken aback at just how many young adults there were. And not only young adults, but those with families as well! They somehow managed to make everything work for the weekend. No one was mumbling or grumbling about how long the trip was, or how hard it was with the kids. Everyone was just happy to be there and we could feel the zeal in the room. It was definitely refreshing and great to experience! The seminars were focused on how to properly serve; that starts with making sure that we walk the same path as Jesus Christ, Who is our perfect example of Christian leadership. We had interactive discussions with the group as a whole and also had a chance to get into smaller groups to analyze how Jesus Christ handled certain situations in His life. There was also plenty of time to socialize and get to know old and new friends, and create bonds that the children of God should have with each other. On the very last afternoon of the weekend, we were able to put what we learned into practice and participate in a service project. My husband and I had the opportunity to make cards for those that could use a little uplifting encouragement. It's easy to forget that simply spending 15 minutes on something as simple as making a card can help support and encourage those going through really difficult times. It was clearly time well spent. All in all, the weekend was a huge success. Cody and I are definitely happy we had a chance to go. Not only were we reminded of the vital importance of striving to serve with the heart of Jesus Christ, but we were also reminded that no matter where we live, our faith and the gift of the Holy Spirit keeps us unified as one family.